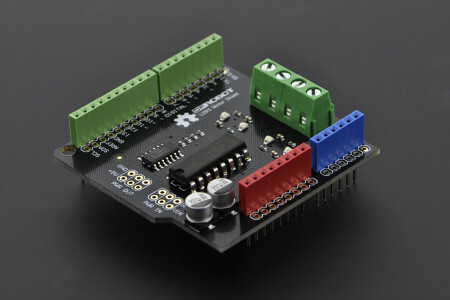 Gravity IO Expansion Shield with Motor Driver is a new product designed for Arduino Boards. It combines IO Expansion Shield and DC Motor Driver Shield, equipped with Gravity sensor interface and TB6612FNG dual motor driver. 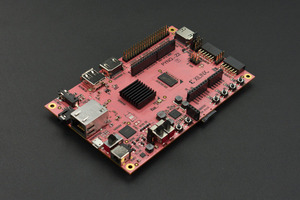 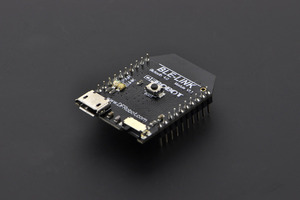 It also has XBee socket, I2C interface and UART port, makes the connections more convenient. 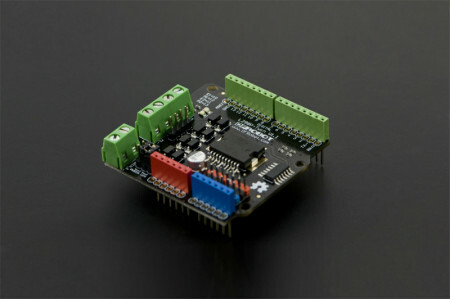 With TB6612FNG dual channel motor driver IC, the shield can drive 2x1.2A DC motors at the same time. 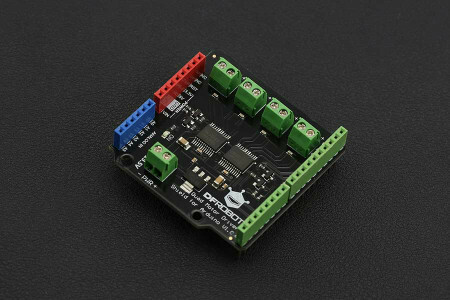 It supports PWM speed control, each channel can output 1.2A continuous current and the peak current can reach to 3.2A. 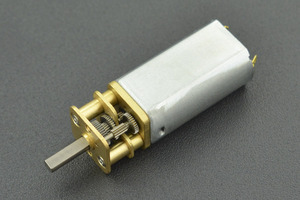 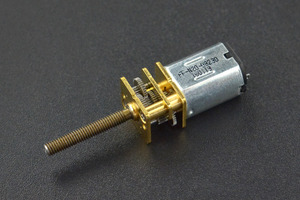 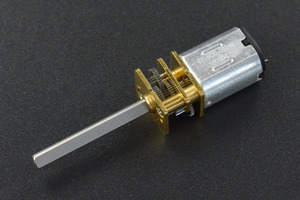 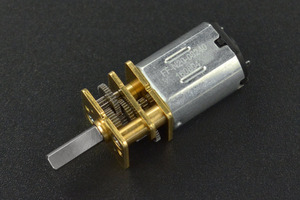 It is compatible with majority micro DC motors in the market. 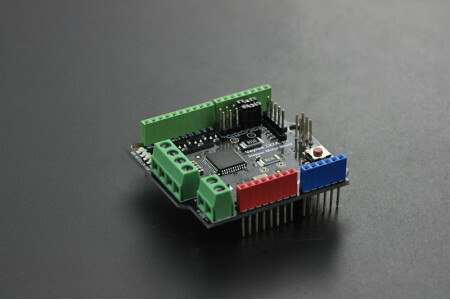 It is a solid choice for small intelligent robot controls, convenient and cost-effective. 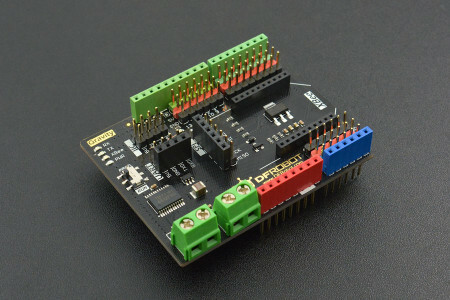 Compatible with Arduino UNO R3 Pinmap. 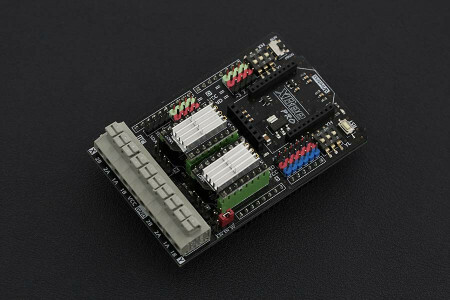 Gravity-3Pin interface, plug & play, esay to use. 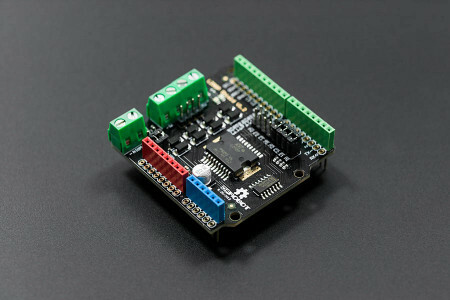 Integrated XBee Slot, XBee, WiFi Bee, Bluetooth Bee compatible. 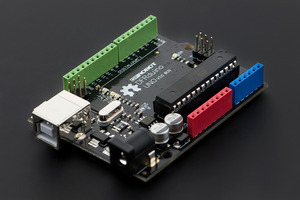 Program download switch will avoid serial occupancy during Arduino UNO/Mega downloading. 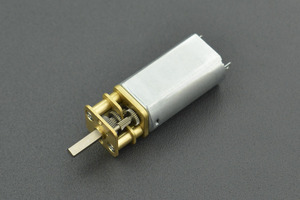 2x1.2A TB6612FNG DC motor driver (power from Vin port). 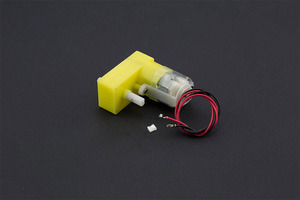 In this project it shows how author made a small cannon for my lovely player in reality.